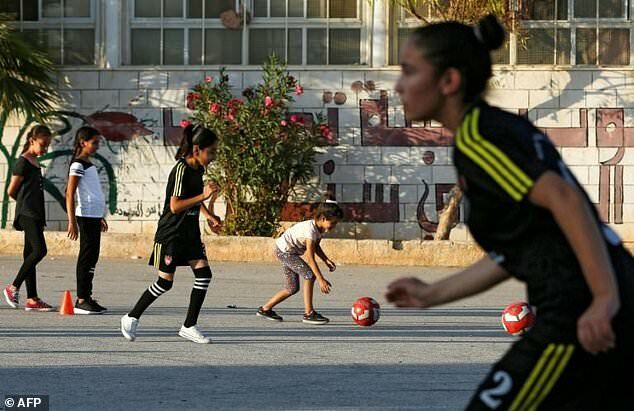 Palestinian girls playing soccer- via The Daily Mail. South Korea’s biggest cosmetic company aims to reach Muslim women and other women in South Asian with “darker” complexions, after losing some of its Chinese market over political tensions. However, it is yet to be defined what the company understands as “darker” complexions (not to mention, assumptions over Muslim women being of a particular shade of “dark”). 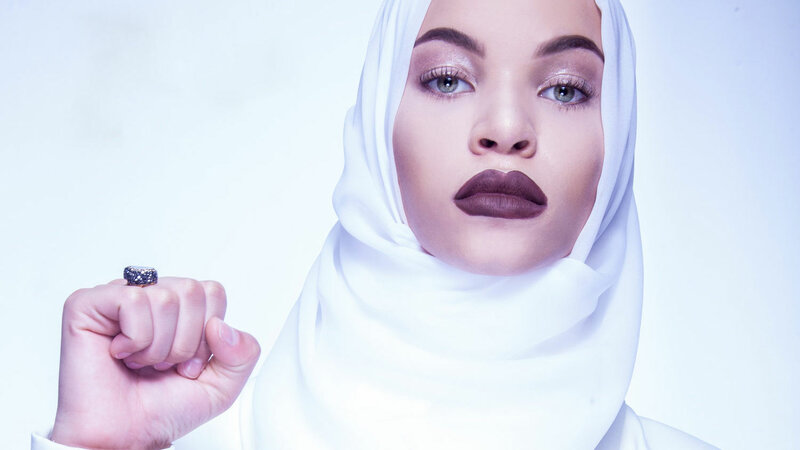 Competition is tough particularly in a context where Fenty Cosmetics has made quite an impact with more diverse products, and by including a Black Muslim model who wears hijab. Unique Models, a Danish modeling agency, has hired its first hijab-wearing model, which is described as “quite exceptional.” The company is currently the only agency in Denmark featuring a hijabi. Palestinian girls are said to be breaking stereotypes and acquiring the rights their mothers were denied in the West Bank through Soccer. Activist Blair Main- via PRI. Black Muslim model, Halima Aden, discusses her work as a model and the importance of Muslim women being accepted as customers in the fashion industry. Moroccan artist Meriem Bennani is challenging Trump’s political paradigm through audiovisual art that mixes magical realism, fantasy and parody. Her projects also include centering the art of Moroccan Muslim women in her audiovisual work. Syrian Girl Guides groups speak about their experience after being banned in the 1980s, reestablishing themselves in the 2000s and facing war. Activist Blair Imani discusses being queer, Black and Muslim at the GLAAD Gala. Rohingya women in refugee camps- via The Straits Times. Trigger and Content Warning: Gendered Violence, War, Colonial Violence, Militarized Violence, Racism, Islamophobia. Rohingya Muslim women and children continue to experience some of the highest levels of violence in the context of the Burma/Myanmar genocide against the Rohingya. 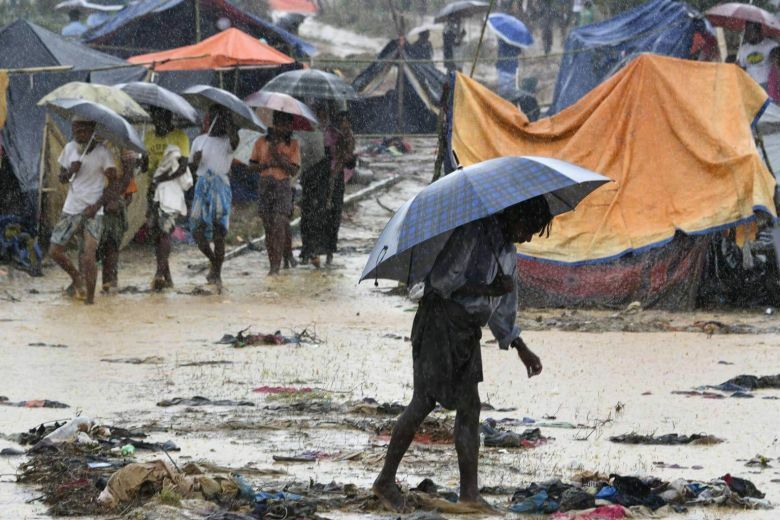 Bangladesh is currently providing basic services at refugee camps, including midwives. Miim by Amanda Ghazale Aziz. Lena Waithe Is Right, Being A Woman Of Color In The LGBTQIA Community Still Isn’t Easy by Vanessa Taylor. “Put Your Money Where Your Mouth Is: 5 Amazing Muslim Women-Owned Businesses” by Hadiya Abdelrahman.